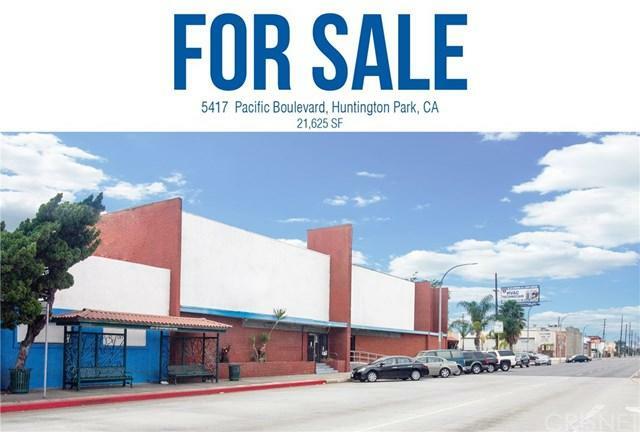 5417-5421 Pacific Boulevard in down town Huntington Park is just blocks from the Community Hospital of Huntington Park on Pacific and Slauson. Thus current operational Orthopedic and General Practice has excellent street frontage with ad value upside income potential. Please take notice that this opportunity is perfect for a Doctor / Dentist or health care organization that sees patients. 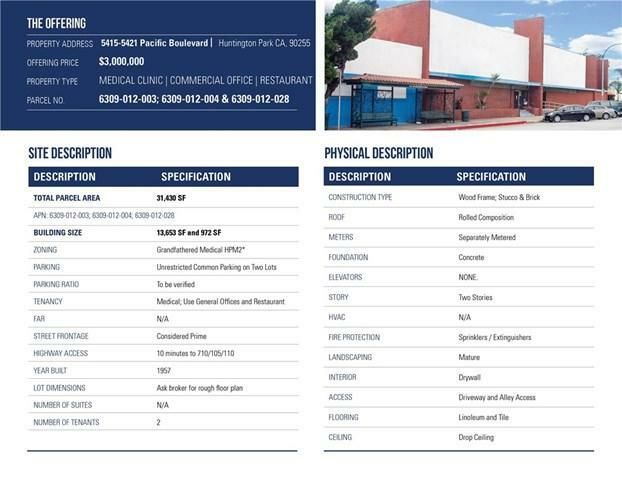 this Medical/Dental/Owner User Investment Opportunity has three parcels that include approximately 14,625 SF on a 31,430 SF lot. The building has over 10,000 square feet downstairs; approximately 3,500 SF upstairs and has a separate building that is an Italian Restaurant. There is ample secure parking in the back of the building and located behind the restaurant. 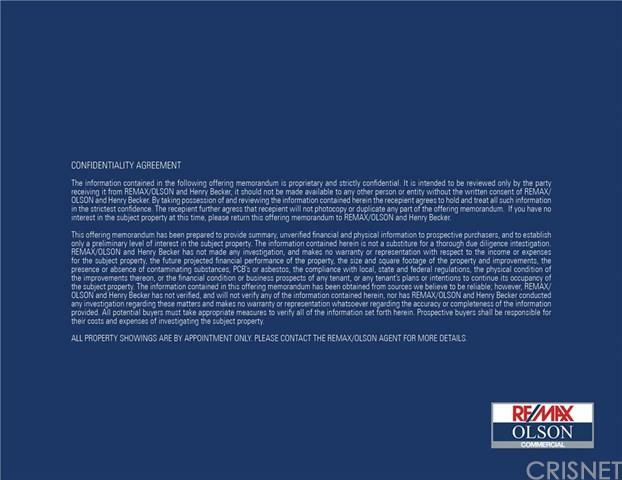 This is a perfect owner User building that can be purchased with 10% down. 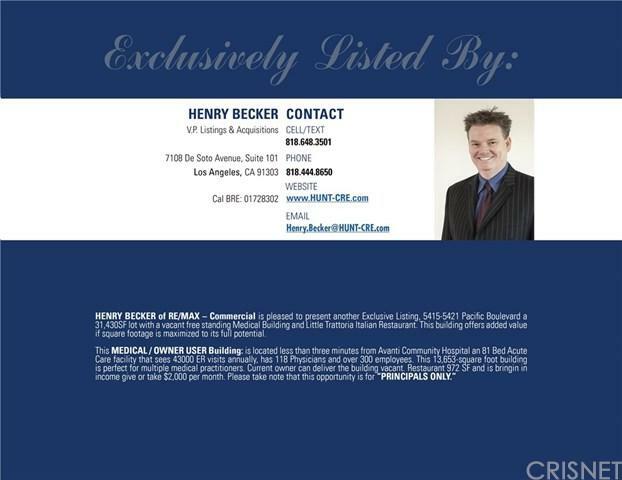 Listing provided courtesy of Henry Becker of Re/Max Olson & Associates,Inc.